With spring in the air, it’s a season of new beginnings. 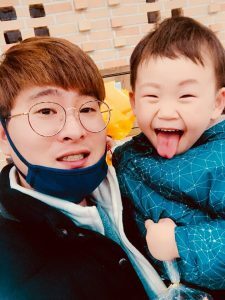 A new school year started in March 2018 as South Korea’s academic calendar begins in March and ends in December. KKOOM is proudly supporting three young adults to attend a college/university this semester. One is a new scholar and two are continuing their education to achieve their long-term goals. 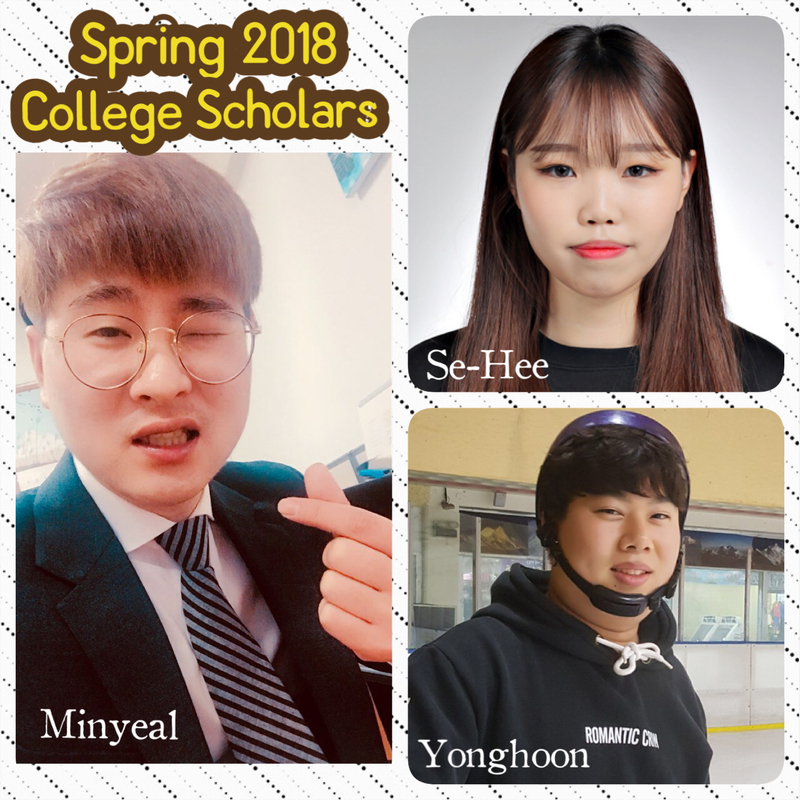 Both Yonghoon and Minyeal (continuing scholars) received a 4.29 GPA last semester- way to go gentlemen! Each of our college scholars are committed to the same cause: SERVICE. They have chosen majors to make a difference in society, whether through social work, ministry, or the hospitality industry. 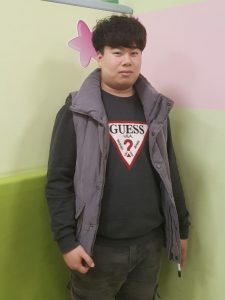 We asked each scholar to answer a few questions for KKOOM so hope you enjoy learning about their career goals and hobbies/interests! Their answers were translated into English by our Chief Administrator, Grace Lee. Thanks to our generous supporters and friends, we’ve increased each semester scholarship in 2018 from 500,000 KRW (~$470) to 700,000 KRW (~$657). KKOOM is grateful to you! Thank you for continuing to invest in our college scholars. You play an important role helping Yonghoon, Minyeal, and Se-Hee achieve their dreams. To donate directly to our college scholarship campaign, please click here.